I’m always amazed, and saddened, that so few radio users share infrastructure. 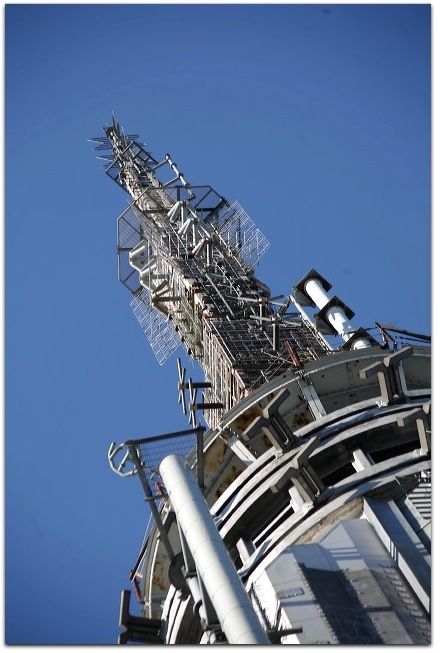 Mast sharing is more common, and here in the UK we have companies such as NTL that own a lot of sites and rent out space and provide managed services etc. But you would think that a lot more of this would go on. I have often wondered if software-defined radio might open up new possibilities for radio service provision, where this is in effect virtualised. Service providers would have consolidated platforms with wideband RF front ends and antenna farms. High speed DACs/ADCs would sit between these and the software layer. Provisioning would involve pushing out software modules to support the required DSP graphs (e.g. ‘apt-get install 16qam’), and backhaul would be over IP. No more massive energy losses in the combiner of a multi-channel TX chain – complex carriers (e.g. multiple GSM channels) would be combined in software and amplified as a wideband signal. Fire, police, ambulance and commercial radio etc. all off one system. New services would be possible, as temporary national transmissions could easily be set up and brought down at a greatly reduced cost. Anyway, you have my head spinning. Well done! Doc, I’m glad to hear that someone else finds the idea of SDR enabled radio systems consolidation interesting. I can’t help but marvel at the possibilities… Especially when you also factor in smart antennas and, via SDR, cognitive radio systems that could bring about new levels of spectrum use efficiency. Imagine what would be possible if you had a common platform which “knew” about all the various users, could maintain dynamic channel schemes, worry about interference modes, track the position of mobile stations and employ beamforming. I didn’t realise that we were ahead in our use of RDS, and was shocked when I heard some 10 years ago or so that we were ahead of the US with GSM. OK, so GSM is from ETSI (the ‘E’ for European), but the US alternatives seemed to seriously lag in terms of capabilities. 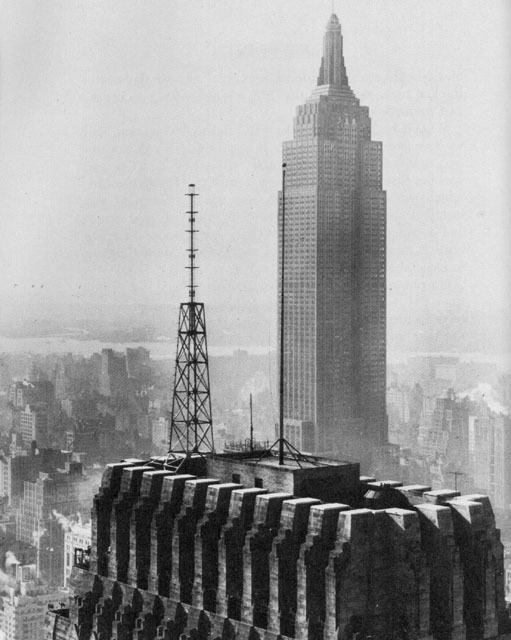 Getting back to radio system futures: have you heard of Digital Radio Mondiale? This is one future I don’t want to see. Call me old fashioned, but I’d like to see the conservation of HF, almost like a nature reserve. For it to be kept a place where simple, handmade equipment can play. Where the romanticism of sporadic overseas radio via skywave can be experienced. Narrowband amateur digital modes are fine, but the idea that there will be a proliferation of high power, digital commercial radio stations strikes me as abhorrent. I like the idea of a common platform, as long as one company doesn’t own it. (As, say, Ibiquity owns “HD Radio” here in the U.S.) As for GSM, there are many that would argue that Qualcomm’s CDMA is superior, but that’s beside the point. We have two competing and incompatible systems now. I didn’t know much about Digital Radio Mondaile. (That link goes to the Wikipedia entry, which seems solid.) It strikes me as a futuristic approach to a retro problem. Need to think more about it, though. Meanwhile, I’m in sympathy.